OOOOH! We’ve started stitching the central heart. I promised bling and here it is. It’s coming to life. 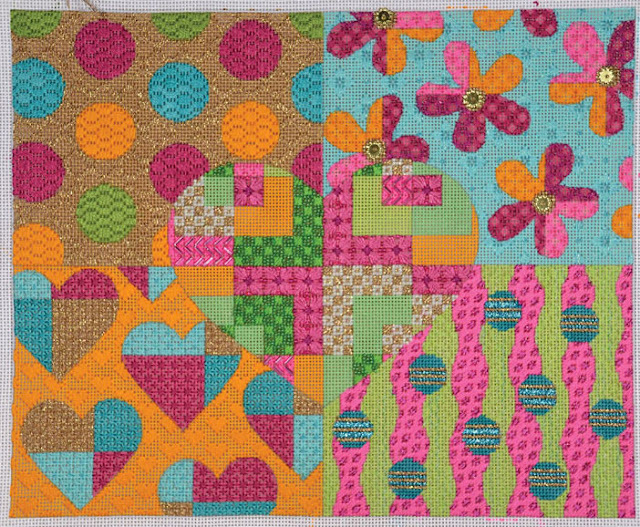 Today was lesson four of the Garden Party Heart Mod Collage by EyeCandy Needleart. We’re in the home stretch now! We completed four colors of the patterns inside the heart. Some have beads, all have bling. 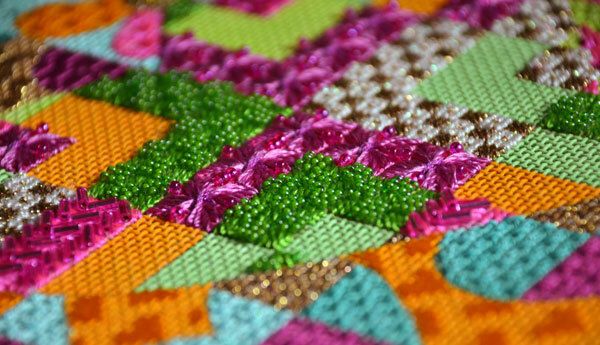 These stitches are much bolder than those in the background so that they come forward. 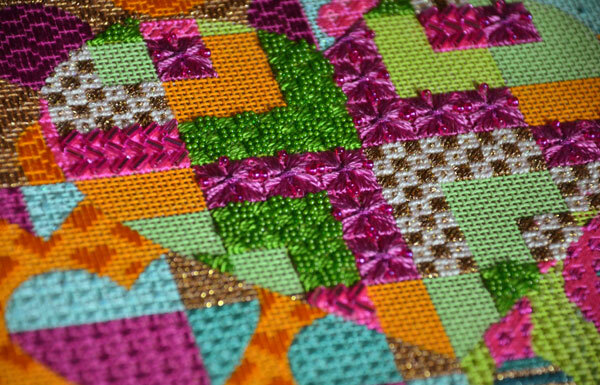 I love the Leviathan stitch with beads in the center pink areas. 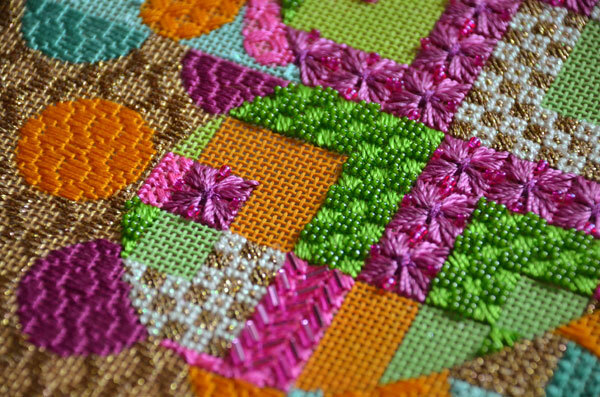 It’s a favorite stitch of mine but really doesn’t get used enough. The colors are really starting to sing now! We’ll keep adding dimension and bling to the central heart next time, plus I have a few surprises up my sleeve to finish this piece off! Cross your fingers it all comes together as I see it in my head. 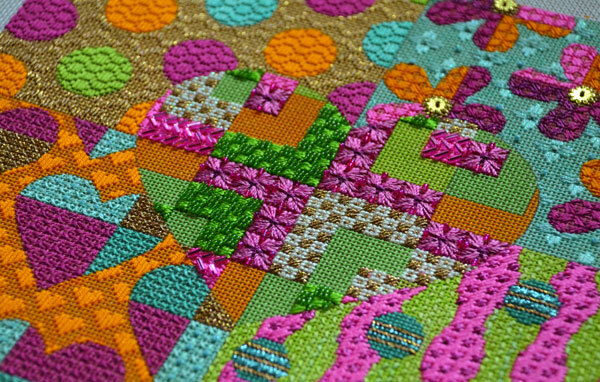 « Previous: Whimsy and Beads Oh My! Ruth, you are amazing what you can do with a painted canvas. Pure genius. I love your heart canvas!! thank you for your support. I love knowing that you all like what I do.